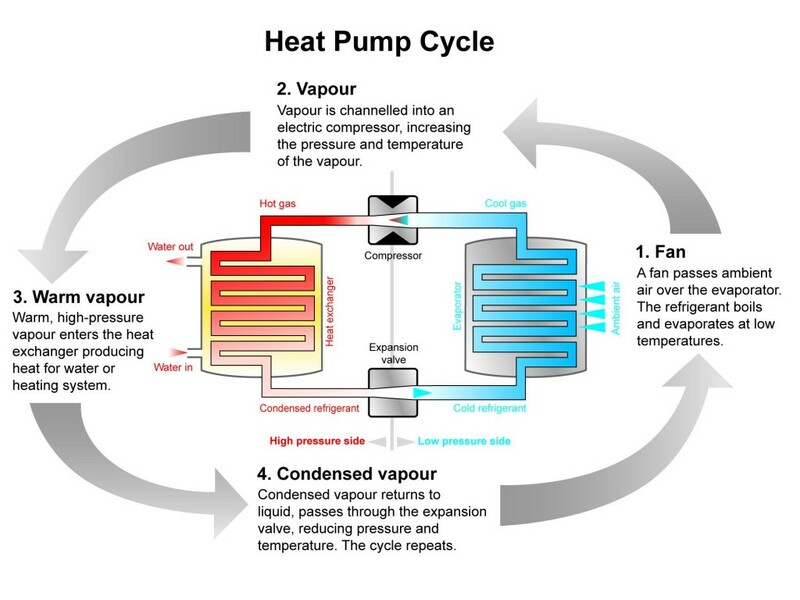 A Heat Pump is a machine that effectively moves thermal energy from one place, the ‘source’, to another. Examples of the source are Ground source and Air source. They could lower your fuel bills, especially if an alternative to conventional electric heating. Could provide you with an income through the government’s Renewable Heat Incentive (RHI). Could lower your homeís carbon emissions, depending on which fuel you are replacing. You don’t need fuel deliveries. They can heat your home and provide hot water. Need very little maintenance – they’re called ‘fit and forget’ technology. We have become Mitsubishi and Panasonic partners having done a lot of research into the Heat Pump Market and been very impressed with their products- come and see us at our showroom and we can tell you why, we have a live installation we can demonstrate. Air Source heat pump installations are incredibly popular in the current renewables market place – they work wonderfully in insulated properties with underfloor heating or correctly sized radiators.